The 10th KIIT International (Category - A) 2017 is held in Bhubaneswar, India from 26th of May till 2nd of June 2017. The International chess festival Rashid Nezhmetdinov Cup 2017 is held in Kazan, Russia from 31st of May till 8th of June 2017. 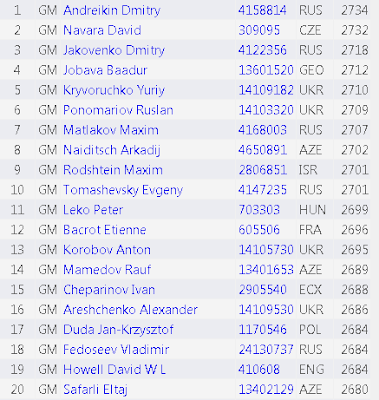 This is the 4th stage of the Russian Cup in chess among men. 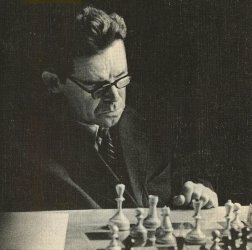 The festival is named after the Soviet chess player and chess writer Rashid Gibiatovich Nezhmetdinov (1912 – 1974). Nezhmetdinov won the Russian Chess Championship 5 times and beated many of the best players in the world. 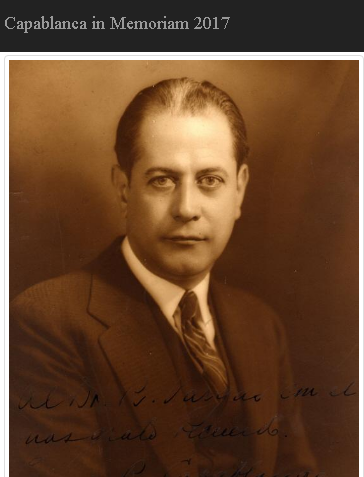 In 1954 he got FIDE International Master title. In the previous 38th Memorial of RG Nezhmetdinov won the International Grandmaster Alexei Pridorozhny from Surgut. MG Dmitry Kokarev from Penza got the silver medal, the bronze was taken from the MG Dmitry Bocharov from Novosibirsk. In the women's classification won Obolentseva Alexander from Moscow. Among veterans first was MG Tunik Gennady from Saratov. Nikitenko Michael from Minsk won the junior's competition. 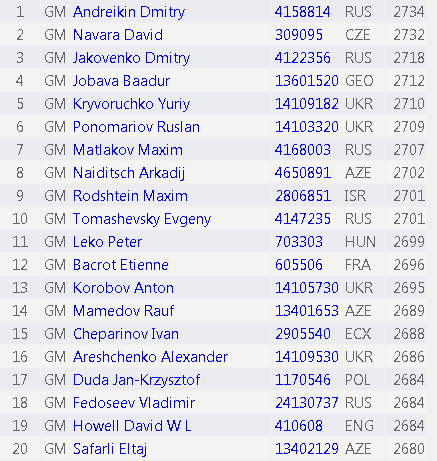 Alexey Gubaidullin from Kazan was the best among chess players with a rating below 2450. 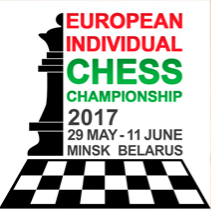 The 18th European Individual Championship 2017 is held in Minsk, Belarus from 30th of May till 10th of June 2017. The 26th Chicago Open 2017 is held in Chicago, USA from 25th till 29th of May 2017. Serbian Cup - Final (Teams) 2017 is held in Novi Banovci, Serbia from 25th till 28th of May 2017. The competition at the finals of the Serbian Cup for men is named after the Serbian and Yugoslav chessgrandmaster Svetozar Gligoric. In the 1950s and 1960s Gligorić was among the world's most popular chessplayers.He won the championship of Yugoslavia twelve times. This year's competition is the largest since the tournament beginning - 18 teams are participating. The main favorite is a team, "Jugovic", and serious chances has a team of "Valjevo Chess Club 2005". The prize fund is 200,000 dinars, of which the winning team belongs to 100,000 dinars. 6th Chinese Women's Masters 2017 is held in Wuxi, China from 27 of May till 4th of June 2017. Follow the event on Chessbomb. The Orlova Open 2017 is held in Orlova, Czech Republic from 20th till 28th of May 2017. Attica Cup Final Four (Teams) 2017 is held in Athens, Greece from 20th till 21st of May 2017. The 3rd SCS - Sivakasi 2017 is held in Sivakasi, India from 18th till 22nd of May 2017. The Spring Chess Classic 2017 is held in St. Louis, USA from 16th till 24th of May 2017. It is the second of the four tournaments organized from the Saint Louis Chess Club and Scholastic Center each year attracting international chess professionals. 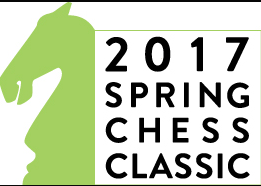 The Spring Chess Classic is comprised of two 10-player Round Robin tournaments and one 6-player Double Round Robin. The competitors will battle for more than $50,000 money prize . 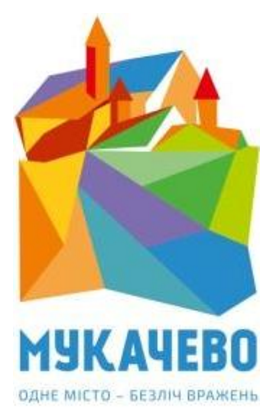 The Internatiosl Chess Fest Mukachevo Summer - IM 2017 is held in Mukachevo, Ukraine from 16th till 24th of May 2017. Follow the fest on ChessBomb. This is the 2-nd of four events in the 2017 Grand Prix series, from which the top two players will qualify for the 2018 Candidates Tournament. Follow the tournament on ChessBomb. The German Chess Cup Championship for Teams (DPMM) is held in Germany from 11th of March till 14th of May 2017. The finals of the championship will be played with club teams in the KO system in a preliminary round, an intermediate round and a final round. Every team consists of four players. The winner of the final round will be awarded the title "German Cup Champion 2017". The Icelandic Championship 2017 will take place in Hafnarfjordur between the 10th of May and the 20th of May. The players are the Icelandic Champion GM Hannes Stefansson, GM Hedinn Steingrimsson, IM Gudmundur Kjartansson and GM Throstur Thorhallsson. Last years winner is Johann Hjartarson. The Sigeman & Co Chess Tournament 2017 is held in Malmö, Sweden from 10th till 14th of May 2017. One of the goals of Sigeman & Co Chess Tournament has always been to invite young and promising guest players. The most successful example is Magnus Carlsen, who at the age of 13 finished third in the tournament after Peter Heine Nielsen and Curt Hansen. Among other famous participants who took part in the tournament in their youth we find names like Wesley So, Fabiano Caruana, Hikaru Nakamura and Anish Giri. Today they are among the top 20 ranked chess players in the world.